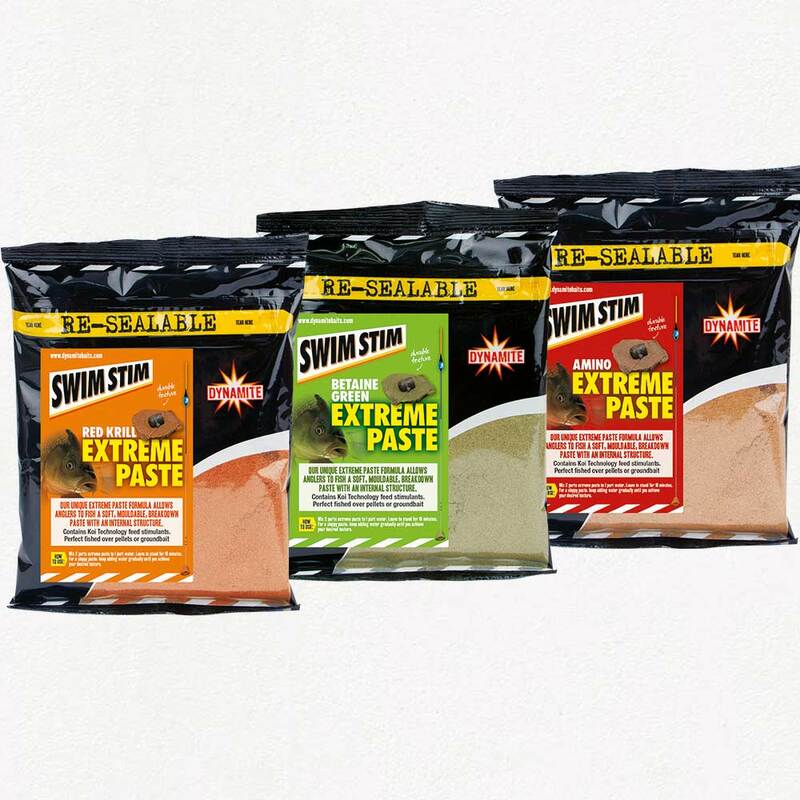 The New Swim Stim Extreme paste is a versatile ready to mix fishmeal paste available in Original, Betaine Green and Red Krill flavours. Simply add water to the powder and mix to the required consistency. You can mix as a tough fibrous paste for fishing on the waggler or as a loose wet mix for fishing on the pole. The Internal fibrous structure works to keep the paste on your hook, giving you confidence that your rig is always fishing.